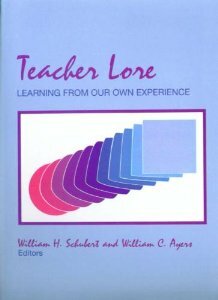 Teacher Lore: Learning from Our Own Experience is about affirming teachers’ experience as legitimate knowledge about teaching. The text is arranged in three parts: Part I establishes the theoretical and methodological framework for the book. In Part II, five contributing authors discuss their own studies of teachers researching and learning from their personal experience. Part III helps reader to engage in forms of teacher lore themselves.